Showing recent results 1 - 15 of 60 products found. 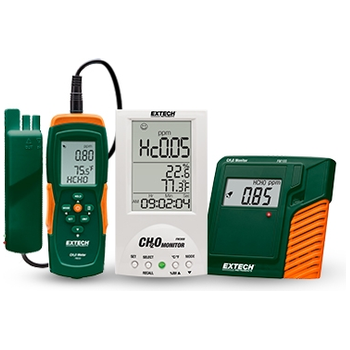 The heat index (HI) or humiture or humidex is an index that combines air temperature and ... pregnancy, menopause, effects of drugs and/or drug withdrawal); its measurement has been based on subjective descriptions of how hot subjects. 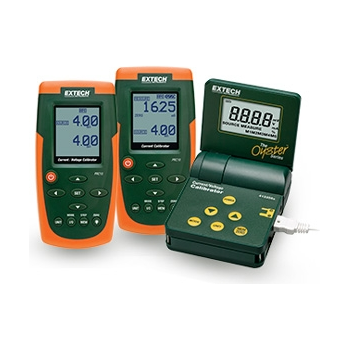 For installations and safety inspections, Extech is a reliable source for gas leak detector models and combustible gas detectors. 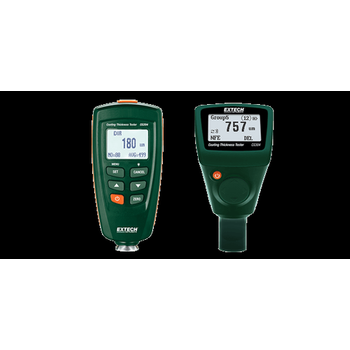 For utilities, pipe fitters, inspectors, property managers, fire safety and others, having a portable gas detector for quick gas leak detection is a must-have. 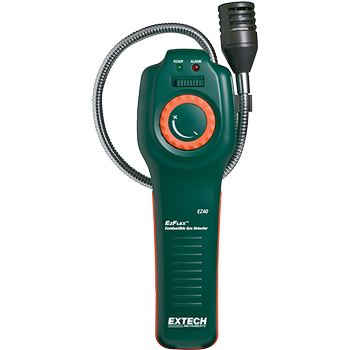 Use Extech handheld multi-gas detector models such as the EZ40 that functions as a both a methane and propane gas detector. 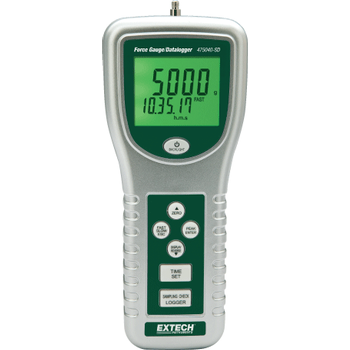 Digital Force Gauge with a 5 digit LCD display and peak hold. 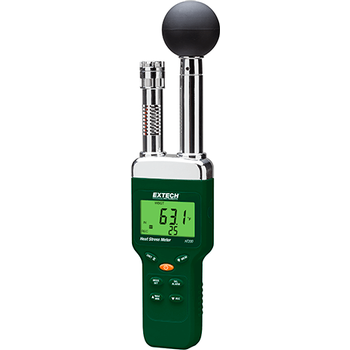 Exclusive load cell measurement transducer. Over range, low battery and advanced function indicator. 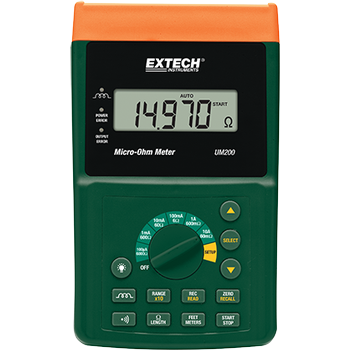 5kg/176oz/49 Newtons measurement capacity. Basic accuracy of 0.4-percent. Complete with tension rod, carrying case and 4 adapters (flathead, cone, chisel and hook for tension), and 6 AA batteries. 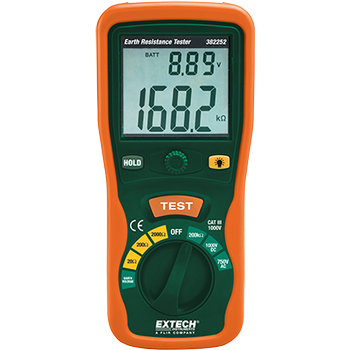 Earth Ground Resistance Tester Kit which includes all hardware necessary to measure earth ground in 3 ranges from 20 to 2000 omega. 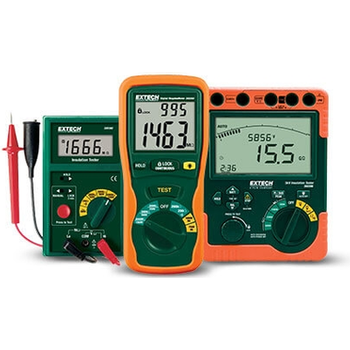 Also tests AC/DC Voltage, resistance and continuity. 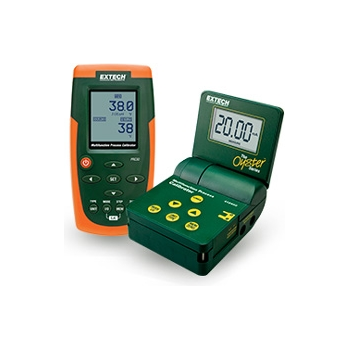 Featuring Automatic zero adjustment and three earth ground resistance ranges 20?/ 200?/2000?. 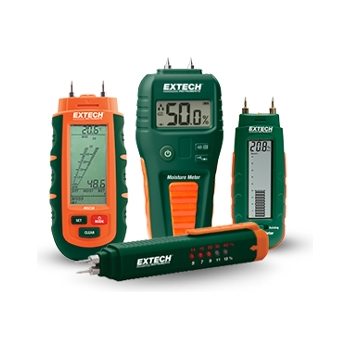 Complete with test leads, 2 auxiliary earth bars, carrying case, protective rubber holster and six 1.5V AA batteries. 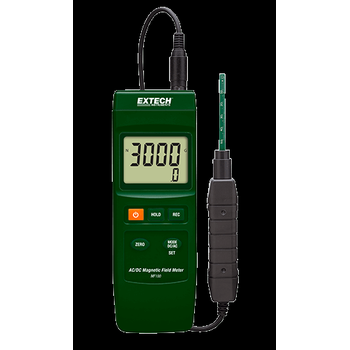 Multifunction Process Calibrator sources and measures Thermocouples (J, K, and T), mA, mV, and V devices. 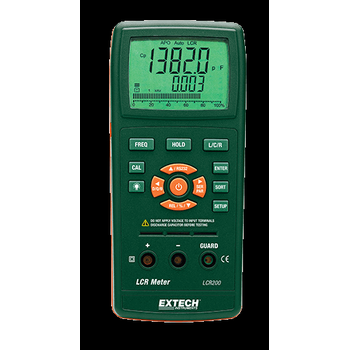 The 24V Loop Supply drives current loads up to 1000 ohms. Memory for 5 user settable output values of each type for fast calibrations. 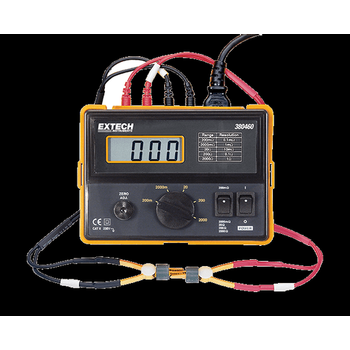 Single/continuous step function for Voltage and Current. 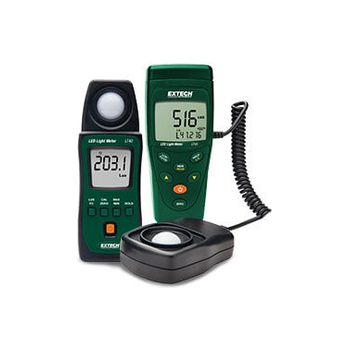 Comes complete with six AA batteries and calibration cable with spade lug terminals. A world leader in the design, manufacturing, and marketing of thermal imaging and stabilized camera systems for a wide variety of thermography and imaging applications including condition monitoring, research and development, manufacturing process control, airborne observation and broadcast, search and rescue, drug interdiction, surveillance and reconnaissance, navigation safety, border and maritime patrol, environmental monitoring and land-based security. Acyclica is committed to a simple idea: helping you get the most out of the journey from A to B. That’s it! There is more behind that of course, but at the end of the day – whether you are commuter trying to minimize your daily drive or a traffic engineer working to optimize traffic signal coordination along a highly congested route – Acyclica is here to help.